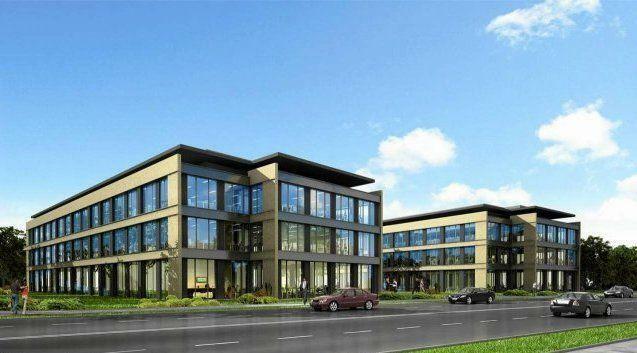 Radom Office Park B will be a second out of two office buildings planned within the Radom Office Park. The three-storey office building with over 4,850 m2 of total rentable area. Complex will provide to future tenants the possibility of flexible office space arrangement (both open space and cabinets). 49 parking spaces will be available within the office complex, additionally tenants will be able to use parking spaces in the located nearby Galeria Słoneczna. 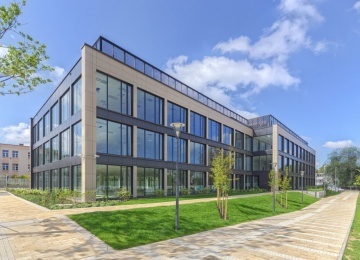 Radom Office Park is located in the centre of Radom, on the Centrum Słoneczne area and in the immediate vicinity of Radom University of Technology and the Powszechny Theatre. Office complex is a five minute walk from the main city pedestrian street - Żeromskiego Street - and ten minutes by car from the train and bus stops. Also near Radom Office Park the bus stops are located, which are served by nine bus lines.